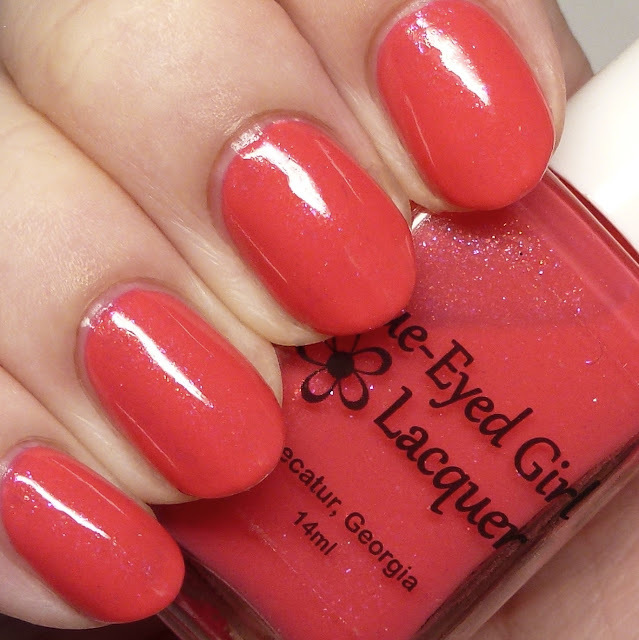 This month's Destination Duo pairs Blue-Eyed Girl Lacquer with Sweet Heart Polish! And our travels are to none other than Disney World! 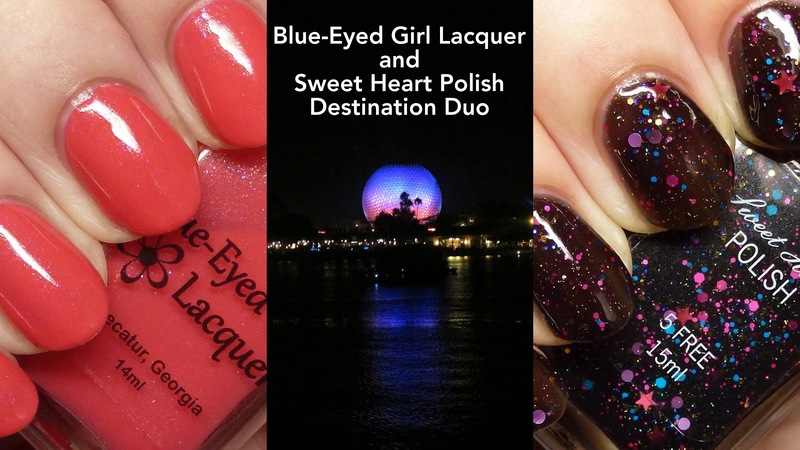 The picture that inspired these polishes is a lovely night scene of the Epcot Center lit with colored lights. Let's have a closer look! Disney lovers rejoice - this one's for you! I remember my parents indulged me with a trip to Disney World back in the mid-1980s and we all had a blast. It helped my 'rents that they had great beers in the It's a Small World section, lol! We had a great time with the rides and I had fun catching lizards at the hotel, lol. Blue-Eyed Girl Lacquer Dreams of the Future is a neon coral with blue and gold microflakes. 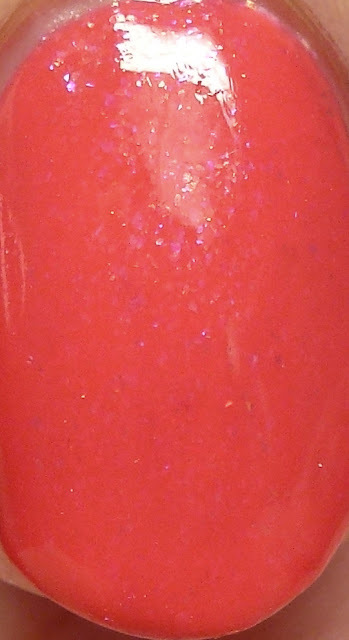 While I was able to get this somewhat close on my computer, Blogger has eaten some of the brightness in these pictures, so let me just confirm, this is BRIGHT! 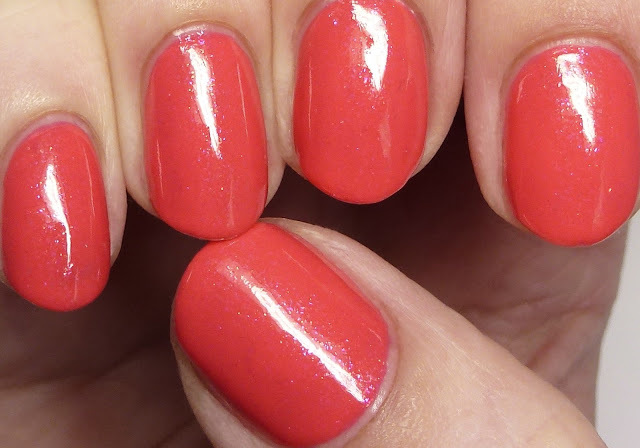 I wore it in three thin coats, but two would do, in the formula is perfect! 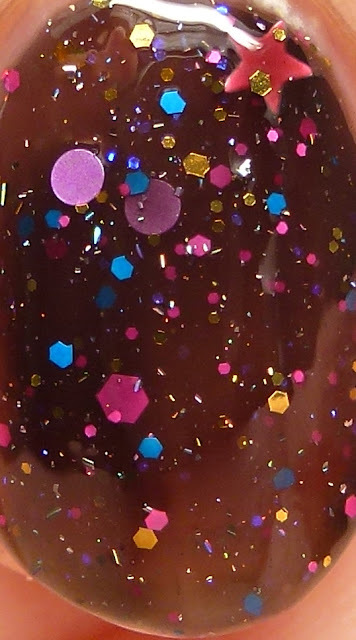 Sweet Heart Polish Starlit Showcase picks up on the sparkle of lights in the dark night with salmon, pink, lavender, blue, and gold glitters in hex, circle, and star shapes and holo flakes in a brown-leaning black jelly base. I wore it in four thin coats here and it spread nicely. I didn't do anything special to get the glitters out. 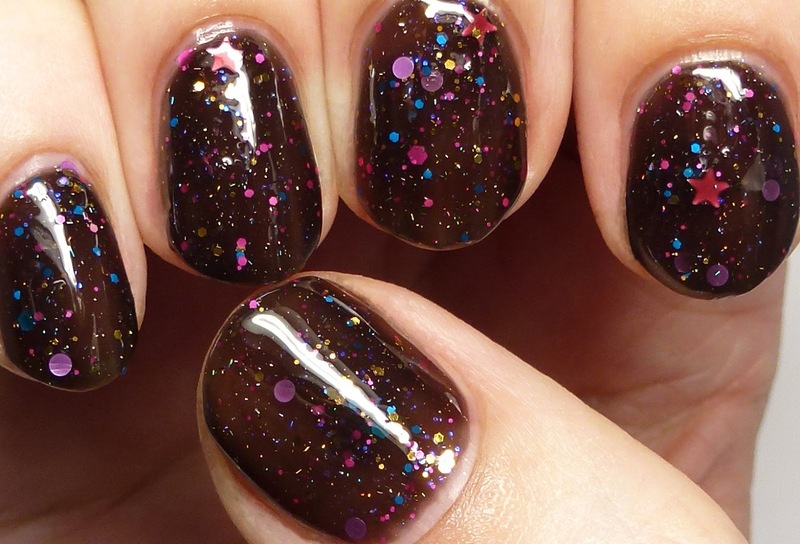 If you want it completely opaque it can be layered over a black or dark brown base. 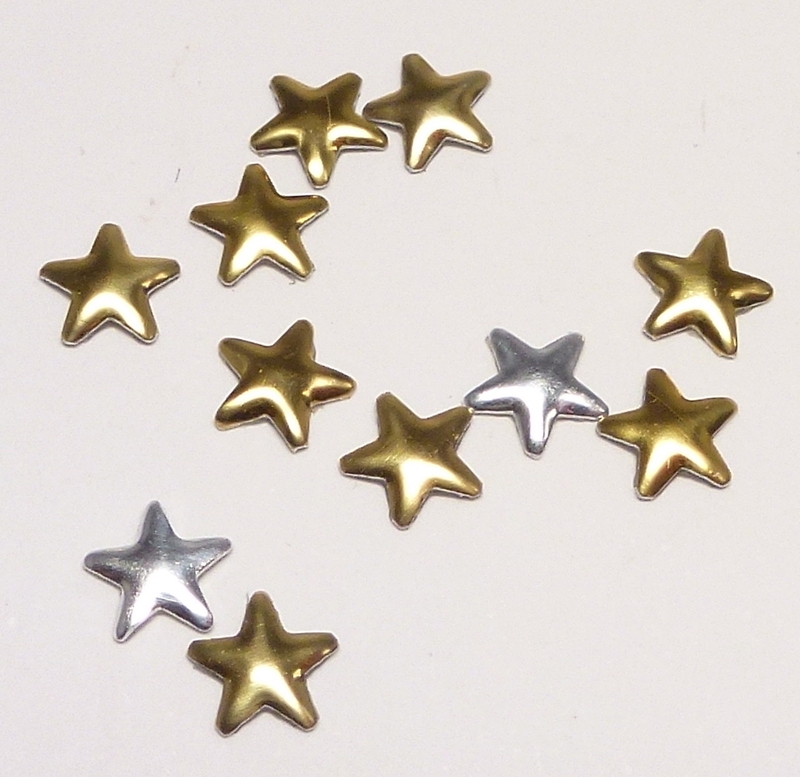 Also included are some gold and silver star jewels. 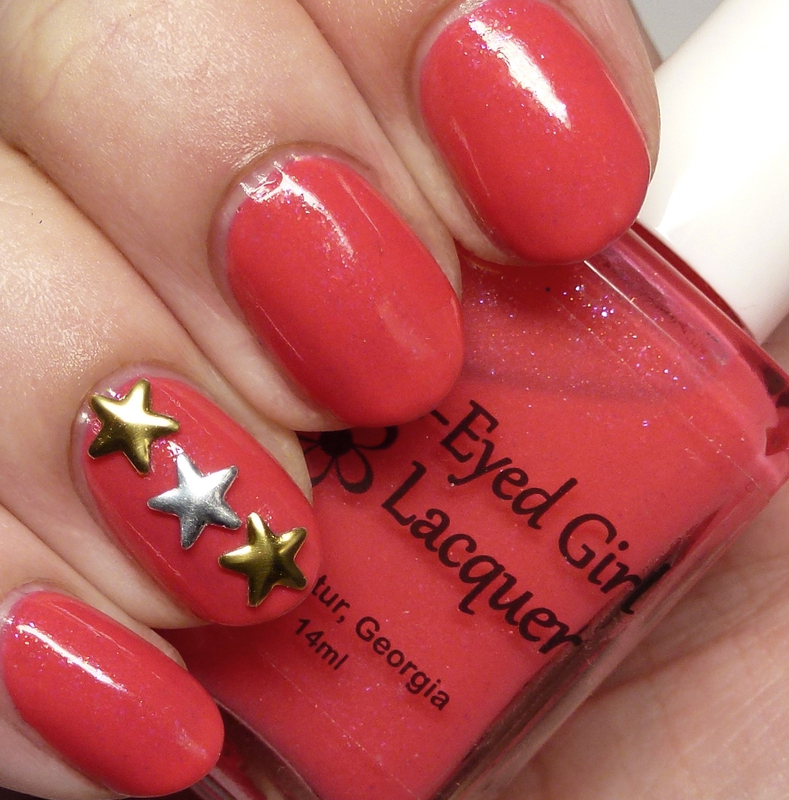 I tried them over Dreams of the Future as an accent nail. 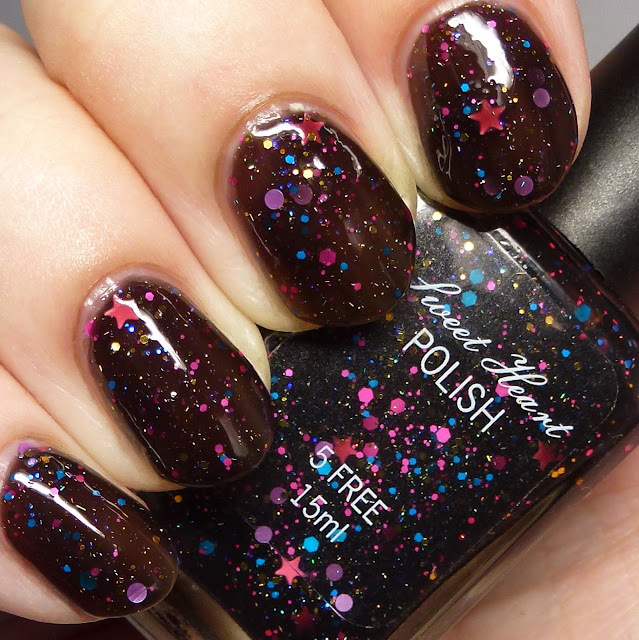 These polishes are available now in both shops for $20 including shipping in the US, which is a great deal! 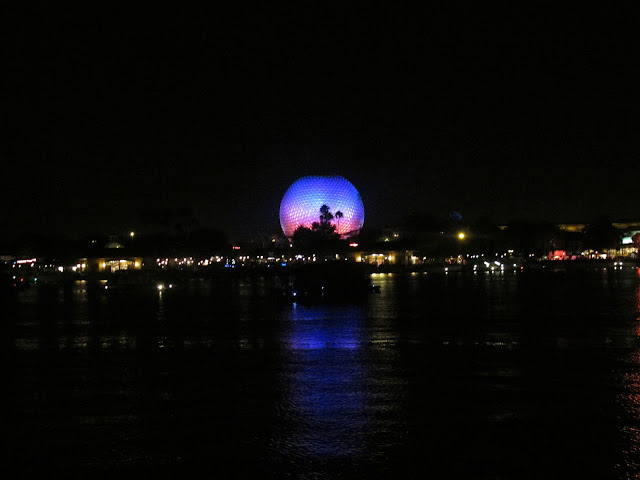 Any of you Disney World lovers out there? You might need this!